Conway Running Club allows membership to all who share the goals of the club as stated in the by-laws. The cost for membership is $15.00 per year and includes the entire family. Join for 3 years and only pay $40! There are two ways to join the Conway Running Club. You may sign up online and make payment with a credit card using our secure form at runsignup.com. Alternatively, you may print the registration form and return it with payment via regular mail. 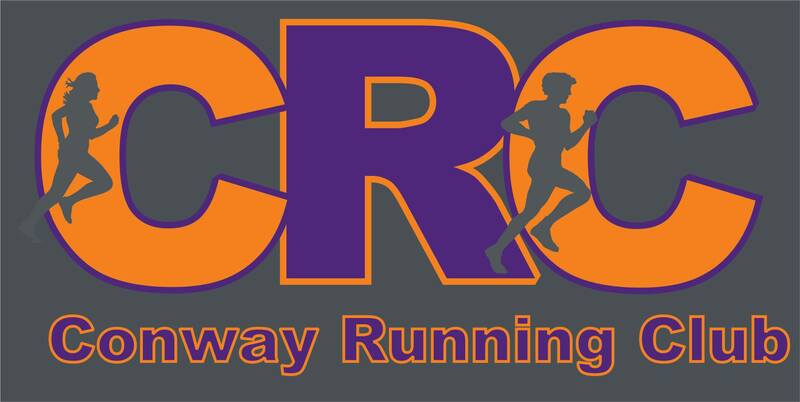 CRC is a volunteer based organization that promotes running, healthy lifestyles and families and fitness. Your membership will go to helping us achieve this in Conway. We like to look at the $15 membership fee as an opportunity to give back to the association for what it will do for our community and hopefully for you personally. You must be an Arkansas running club member to participate in the Arkansas Grand Prix. Dues help CRC maintain and purchase equipment that is used in races and events across our community throughout the year. Dues help with newsletter printing, postage and other incidental club necessities.